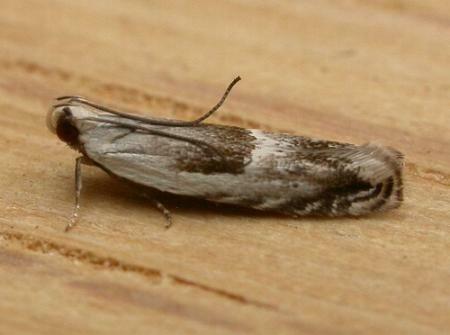 The adult moths of this species have fawn forewings, each with two dark patches on the hind margin and some dark arcs at the wingtip. 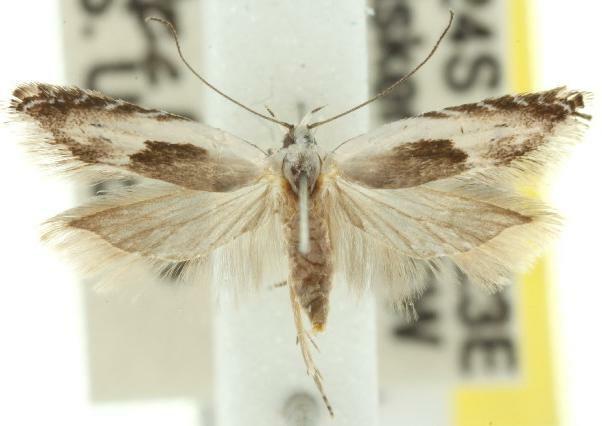 The hindwings are pale brown, darkening toward the margins. The wingspan is about 1 cm. Volume 21 (1897), p. 55.